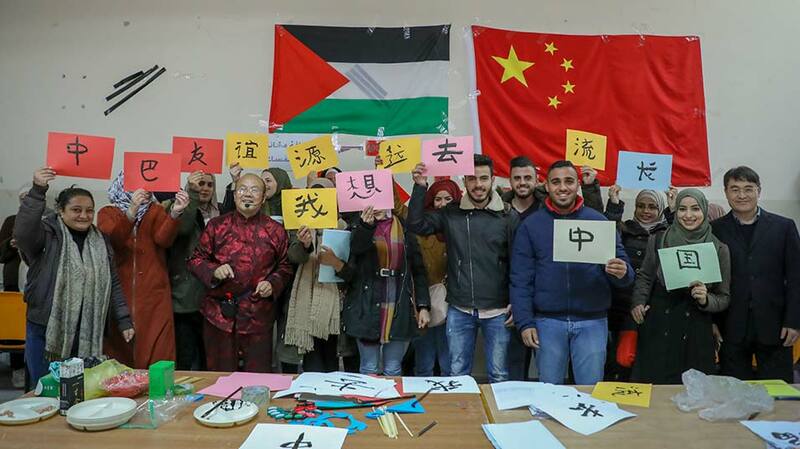 The Department of Languages and Translation at Birzeit University celebrated the Chinese New Year − the Year of the Pig − with students and faculty members on March 14, 2019, in the Faculty of Arts. 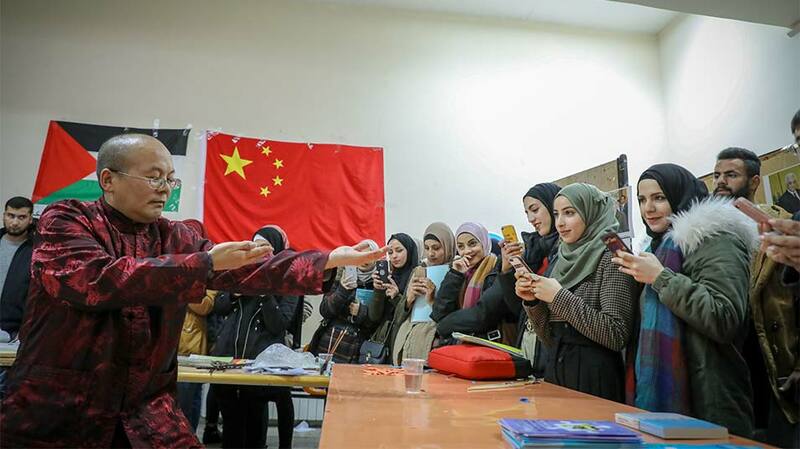 Xu Liguo, a visiting professor who teaches Chinese Language for Beginners at Birzeit University, and Li Zhenying and Zhang Naichuan, who teach Chinese at Al-Quds University, led the students on a journey of cultural discovery as they showed them the ancient art of Chinese paper cutting, taught them how to draw Chinese calligraphy, trained them in the age-old tai chi (taiji) martial art, coached them on how to use Chinese chopsticks, and tantalized their taste buds with traditional tea. 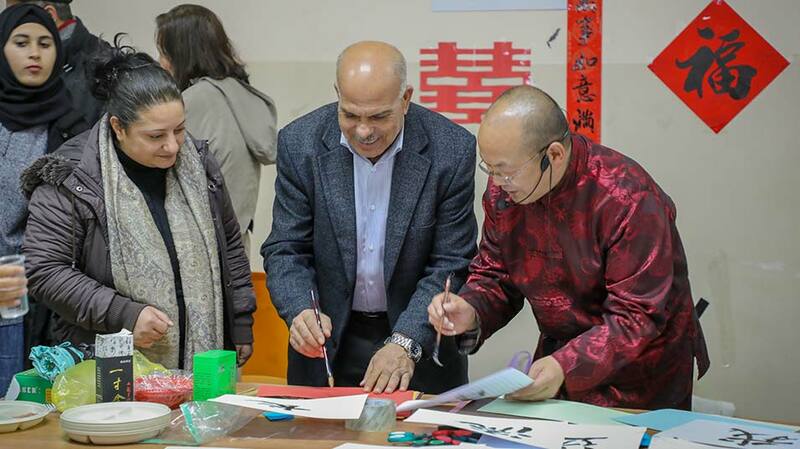 Adnan Abuayyash, chair of the Department of Languages and Translation, described the event as an enjoyable way to familiarize students with the Chinese culture and a great opportunity to practice their Chinese. “Students need to experience cultures for themselves, as opposed to seeing them on TV or online. They need to actually hold a pair of chopsticks or learn to draw Chinese calligraphy to fully appreciate the depth and breadth of such an ancient culture,” he added. 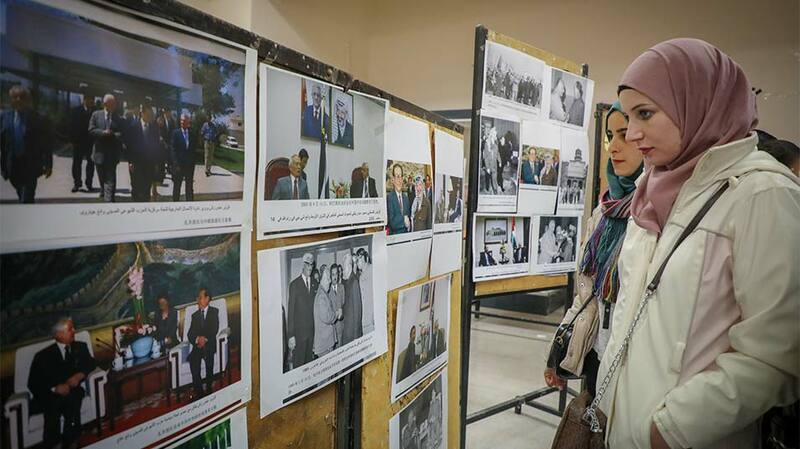 The Department of Languages and Translation offers 44 courses in nine academic programs. The most popular courses among students, which can be taken as electives, include Turkish Language for Beginners and Italian Communications 1, besides the Chinese language course.